Visitors to the Smithsonian National Museum of the American Indian interact with a 3D reconstruction of the ancient Inkan capital of Cusco along with rich media gathered by the Smithsonian and Ideum. Next week, the The Great Inka Road: Engineering an Empire exhibit opens at the Smithsonian National Museum of the American Indian (NMAI) in Washington, DC. 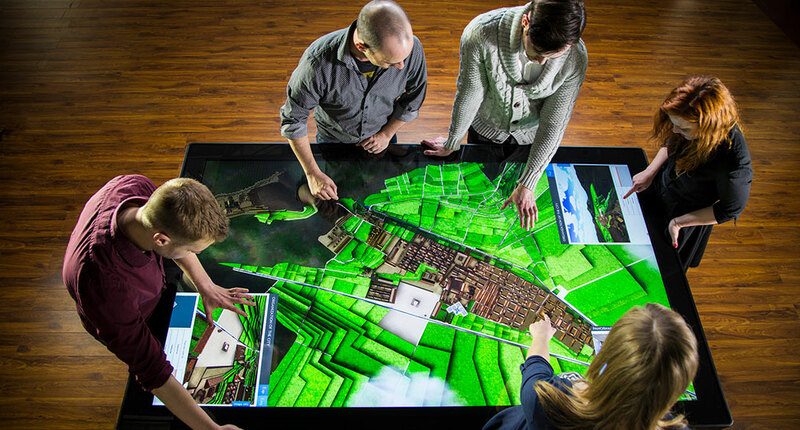 Ideum has worked with NMAI over the last year and a half, helping to develop a multiuser interactive exhibit which runs on an 84" multitouch table. 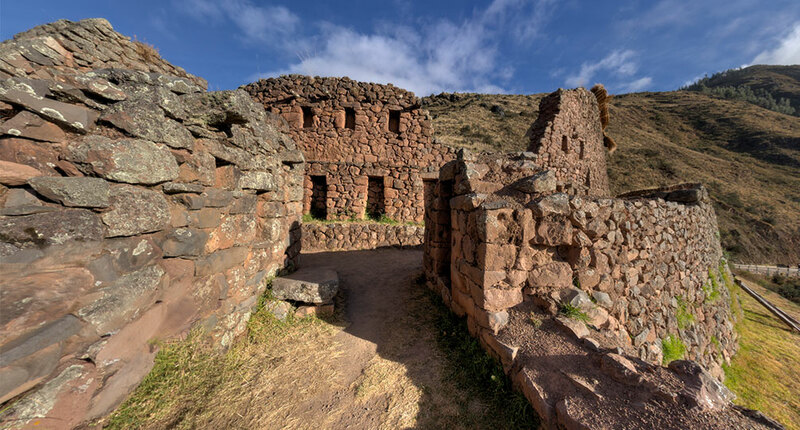 Visitors can interact with a 3D reconstruction of the ancient city of Cusco, which was the heart of the Inkan civilization that ruled over much of the South American Andes in the 15th and 16th centuries. Ideum built the 3D model of Cusco based on research conducted by the Universitat Rovira i Virgili (URV) de Tarragona and NMAI. We developed the interactive exhibit software using the Unity 3D gaming engine. Two "flythrough" stations allow visitors to take tours of the ancient capital. In addition, visitors can explore 6 photo galleries, 20 videos, 12 VR images, and a detailed 3D scan. (We will share additional images and videos of the application in action once the exhibit opens on June 26th.) 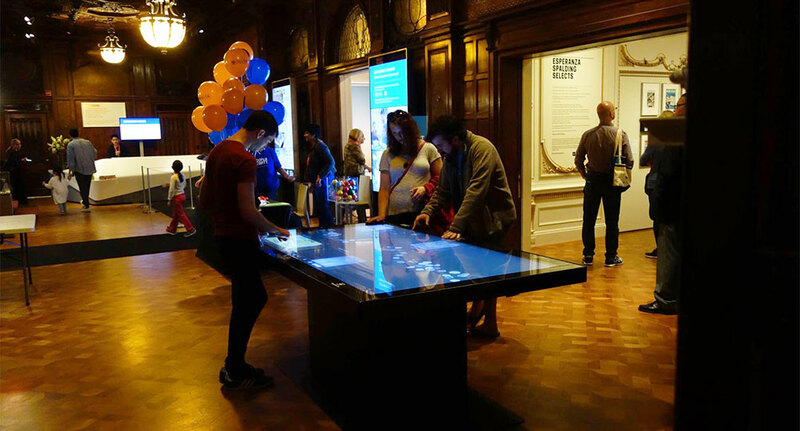 All of the text in the touch table exhibit is available in both Spanish and English. Last June, we traveled with the Smithsonian to Peru and captured a series of VR images. 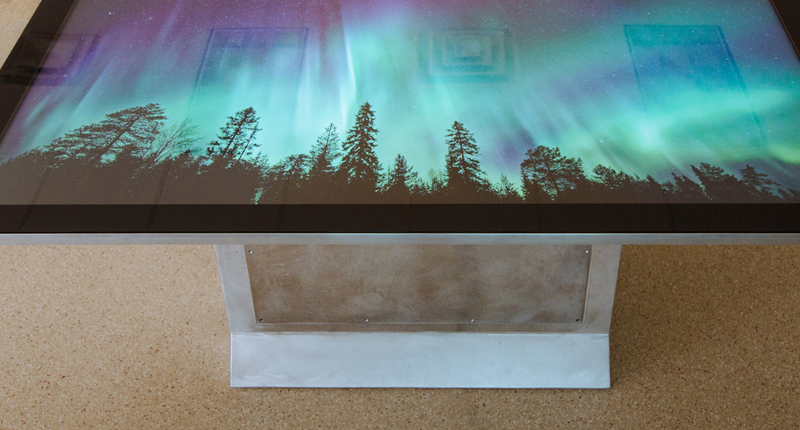 A dozen of these 360 degree panoramic images appear in the large touch table exhibit. Smithsonian National Museum of the American Indian was nice enough to let us share just a few of these images of Cusco and nearby Pisac, Peru. The 360 degree panoramic images are spherical and you can view the image in any direction including up and down. The description from the exhibit: The strategic placement of this cluster of Inka buildings at Pisac commands a stunning view. By building sites in lofty, highly visible locations, the Inka established their dominance over a region and its population. Sites like Pisac, Ollantaytambo, and Machu Picchu also served as checkpoints to oversee the delivery of goods and products to the city of Cusco. The description from the exhibit: On the ridge to the right of the rock overhang, you can see one of the four groups of archaeological ruins at Pisac. Look for the Inka terraces built into the steep hillside as well as the contemporary town of Pisac in the agricultural valley below. The description from the exhibit: Calle Ahuacpinta (Ahuacpinta Street) is next to the Qorikancha. It separated the temple’s ceremonial space from areas dedicated to other services. The modern doorway stands over a site where an Inka road passed through. Notice the diverse examples of Inka stone architecture on either side of the street: the Qorikancha’s smooth wall on one side, and the rougher wall of another enclosure on the other. A great day at the office. Ideum's Creative Director, Jim Spadaccini, capturing an image high above Pisac. To learn more about the upcoming The Great Inka Road: Engineering an Empire exhibit, visit the Smithsonian's website.